I love giving to others-- especially when they are in need. When I saw Deedee's post a few days ago I knew I wanted to help. 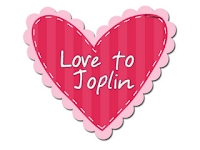 It gave me chill to see how many other bloggers have also decided to giveaway some of their work to the teachers of Joplin. I sent my Christmas pack and Winter pack-- the only two things I have for sale. I wish I had more to give, but the rest is already free on my blog! If you haven't already, you should join Mrs. Wills' linky party and send Joplin a little love.